In this health-conscious era, the nation's appetite for salad is insatiable. 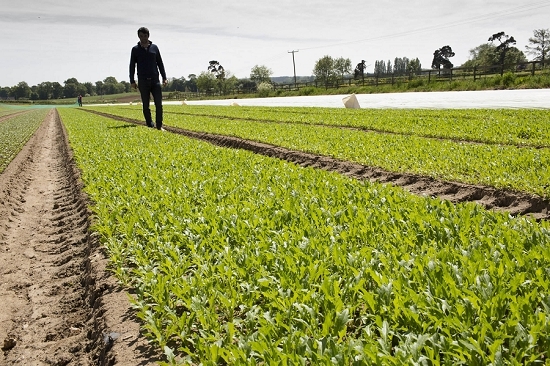 And Laurence J Betts, salad growers since 1930, are perfectly positioned to supply it. 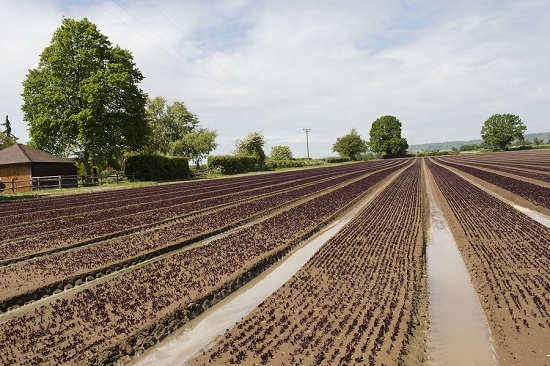 Located just thirty miles from central London in West Malling, Kent, the L J Betts operation farms 500 hectares across three main sites, rotating between salads and cereals. 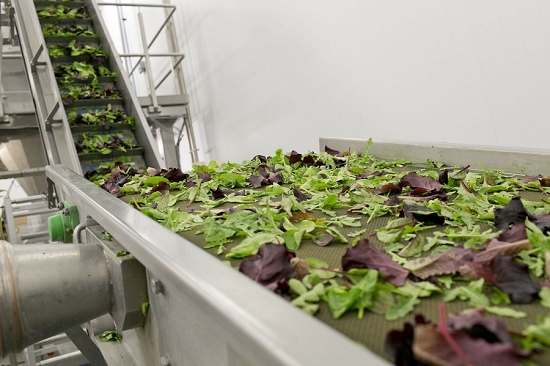 Their output is staggering: 60 tonnes of baby leaf per week and 20 million whole heart lettuces in each 6-month season. 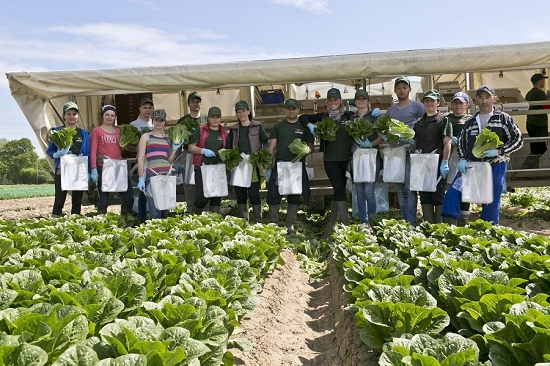 The company won both Salad Grower of the Year and Edible Grower of the Year in this year's UK Grower Awards. 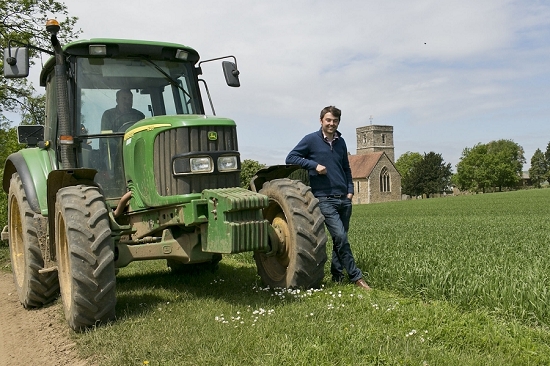 "We're planting and drilling every day from the beginning of March to the middle of September," says assistant farm manager Adam Lockwood, pictured above. At the Market, they deal exclusively with S Thorogood & Sons, with whom they have a long working relationship, having farmed some of their land years ago. 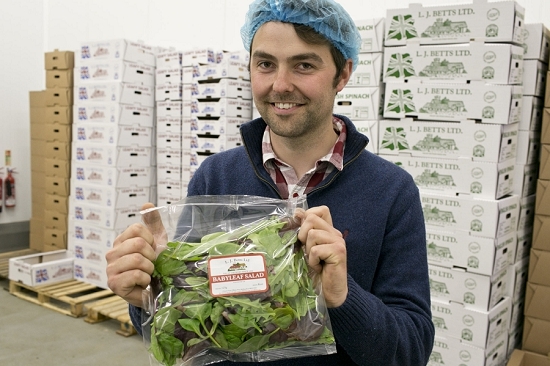 Wholesale markets remain vital to L J Betts, who are keen to increase sales of their own-label salads via this route of supply. 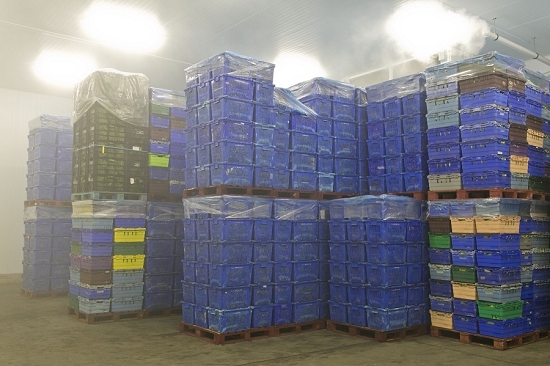 The product is fresh and delivered fast – often picked that morning and delivered overnight to Buyer's Walk. 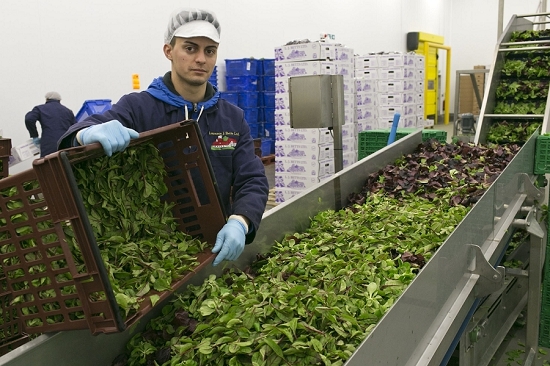 But about 60% of their business is supplying processors - companies such as Southern Salads who supply many high-street names. Salads from L J Betts end up at Subway, KFC, Pizza Hut, Morrisons, Tesco and McDonald's. Local wholesalers also visit the farm for supplies. "It goes from a box sold to a local kebab shop to an articulated lorry load - the full range," says Adam. 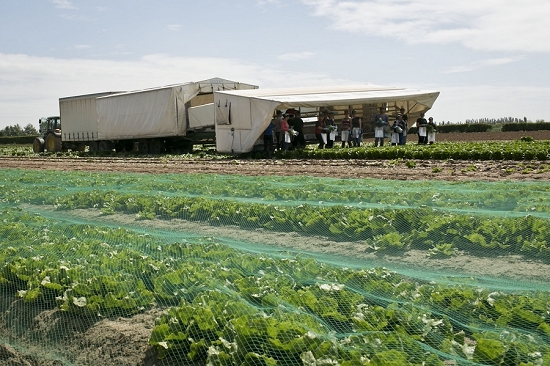 In the fields, baby leaf and whole head lettuces are grown using distinct methods. Baby leaf grows fast – typically around 30 days to harvest. Mizuna, pictured above, is even faster – often just over two weeks. In contrast, whole head lettuces take longer to grow. 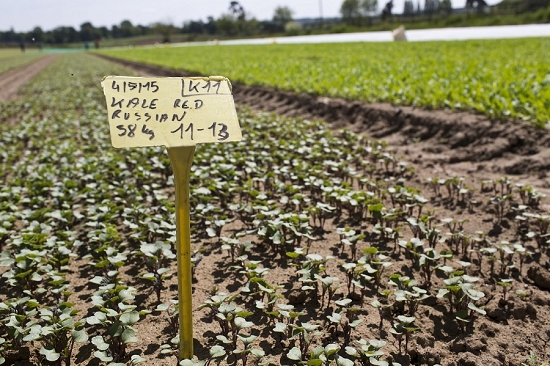 A nursery raises the plants from seed, before the seedlings are planted out by machine. Whole head varieties include iceberg, cos, gem, escarole, green batavia, lollo rosso and lollo verde. Adam describes the last two as "traditional Continental lettuce but the wholesale markets still want the product." 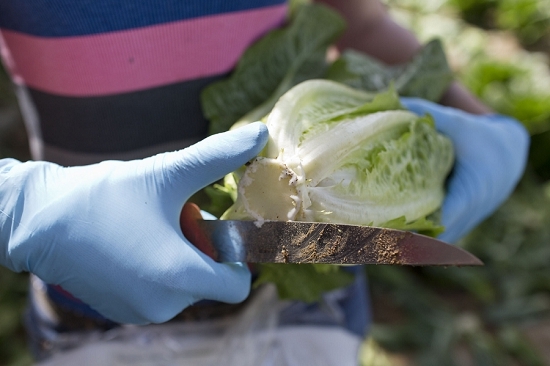 More modern types include "multi-leaf" lettuces, bred so that when you cut them the leaves are similar sizes. Find out more here. "Apollo is a big one now," says Adam. "KFC are now putting it in one of their burgers. One small decision to put it in one sandwich is a massive difference for us - tons and tons of product." The continued growth and success of L J Betts, which is run by Stephen Betts, is helped by its location. "That's how the business started – because of our proximity to London," explains Adam. 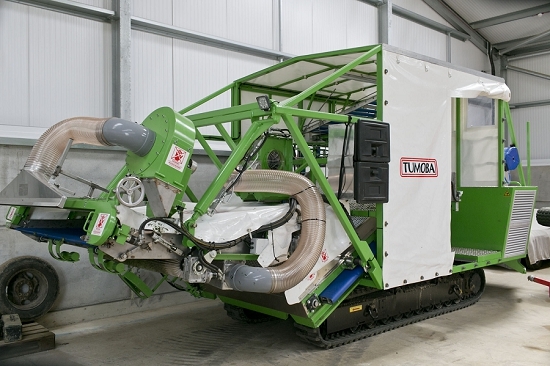 The company has invested heavily in the latest technology. Machinery includes robotic hoes and driverless systems on some vehicles. "Stephen and his family have worked for their reputation for quality and service," says Adam, proudly clutching a bag of their mixed babyleaf salad.